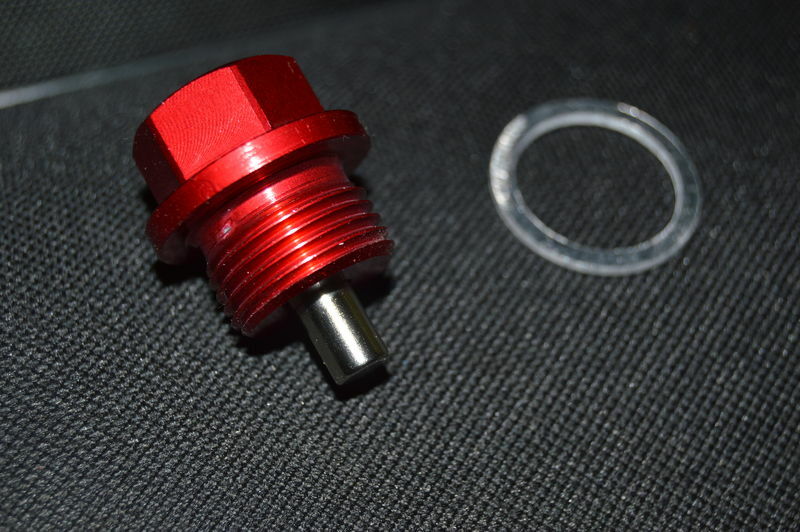 The all aluminum magnetic oil drain plug came today....Under $4 including shipping. They come anodised in a few colors Red, Blue, Black and the original aluminum. Where did you get it from???? My fear (and the reason I never bought one) is that with our oil sump design and the way these type protrude from the bottom of the sump, a rock or road debris could catch it (or speed bump or driveway scrape) and crack the sump plate or even rip the plug right out. If it happened, you could dump all your oil and bad things would happen. Not a good idea on our cars. We have seen customers that had the drain plugs fall out, the engine's did not survive. Big difference between a "cracked sump plate" and a hole where the drain plug used to be....... Also totally dependent upon the condition of the AOS and the sustained vacuum level, as well as how the car is driven. We have seen two otherwise healthy engine's die to lost oil plugs, and one to a holed oil filter housing. Last edited by JFP in PA; 06-09-2017 at 06:46 AM. It doesn't appear to stick out any further than the LN IMS Guardian. I'm not saying that it will happen or even that it's likely, just something to consider. A filter mag is a better/safer investment, IMO. What about a Fumoto oil drain valve? Anyone heard of any problems with those on a boxster? Tried to perform my a DIU change on my car today, and found that the last service stripped the 8 mm hex hole. Can't get the plug out!